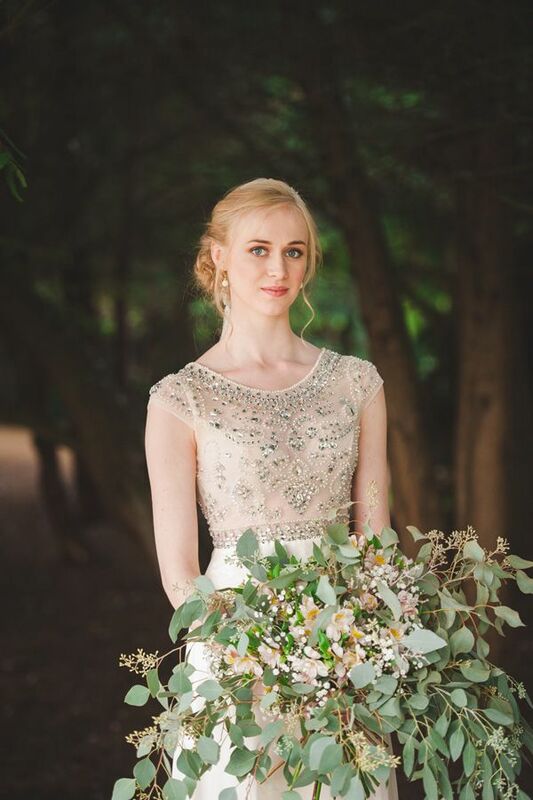 When it comes to wedding styling, the thing that excites me the most has to be the wedding florals – and I love how creative the wedding industry is when it comes to beautiful blooms. 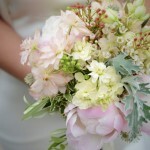 So it goes without saying that I’m loving today’s post from bridal industry floral expert Gwenda Wilkes. 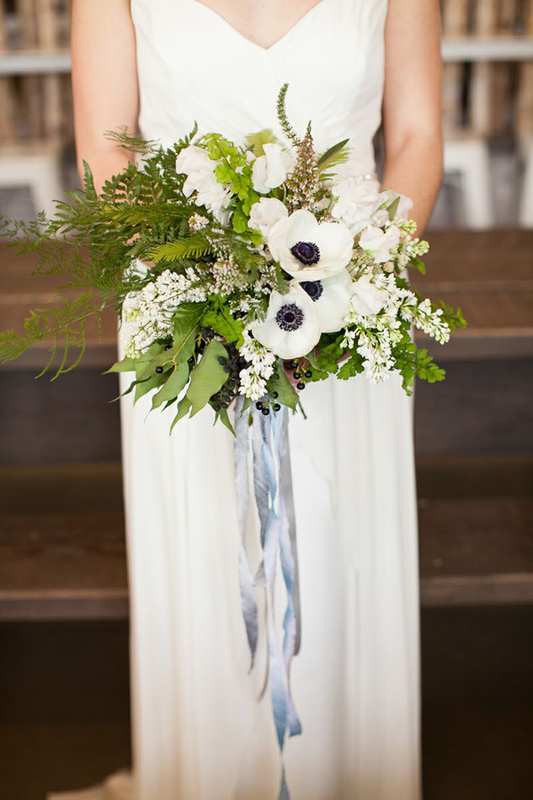 As the senior creative designer [and founder] behind Vintage Floral Design Co. she knows a thing or 50 about wedding floral trends and how they relate to your wedding day. No year is complete without the Pantone Colour of the Year. 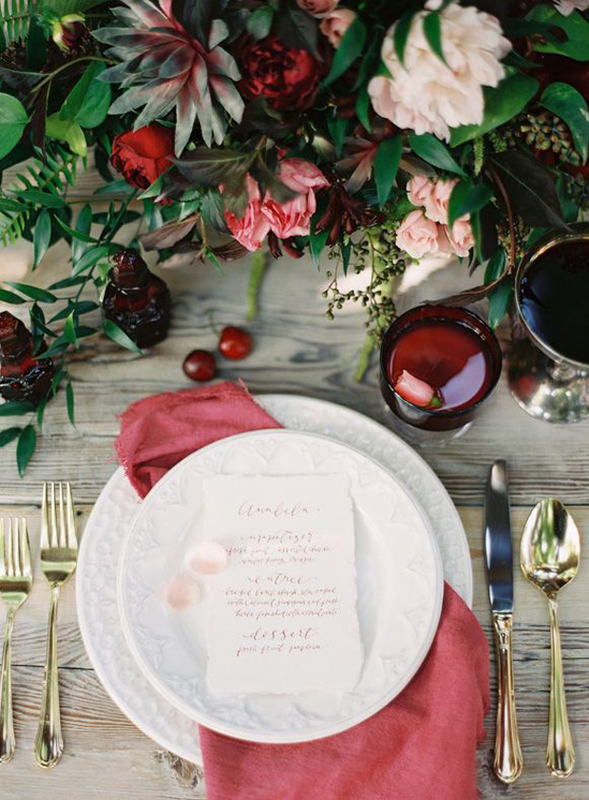 2015 sees Marsala, a red/brown ‘dirty burgundy’, taking center stage. It’s a sophisticated colour that has definitely grown on me quickly (unlike last year’s Radiant Purple!) 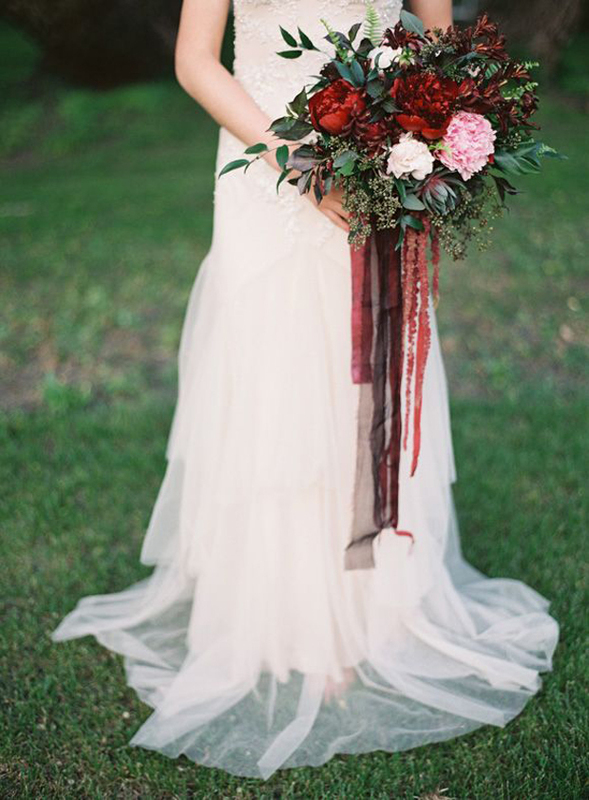 and there’s plenty of scope for applying in to wedding styling throughout every season. Whether you choose to use it as a dominant colour or just as subtle touches, there are flower varieties available all year round; these include ranunculus, peonies, calla lilies, anigozanthos, chrysanthemums, roses, orchids, dahlias, hydrangeas and amaranthus. It will work best in combination with neutrals, pinks and sage greens. 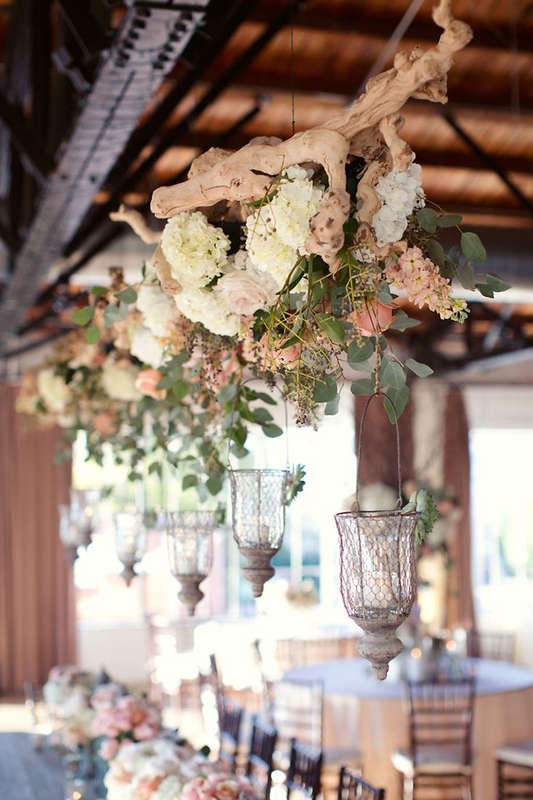 Wedding trends are largely drawn from other creative industries, such as fashion and interior design. The latter sees an increased interest in sustainable organic design, bringing the great outdoors, indoors. 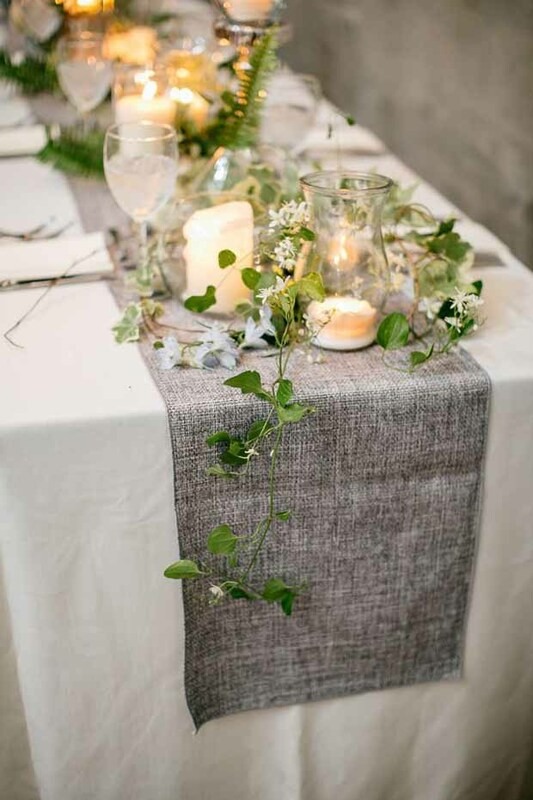 Greens, neutrals and greys are a key combination and they translate beautifully into a modern wedding aesthetic, particularly suited to urban and industrial venues. Foliage made a big comeback last year and it’s particularly relevant in this context, which favours informally-structured arrangements. 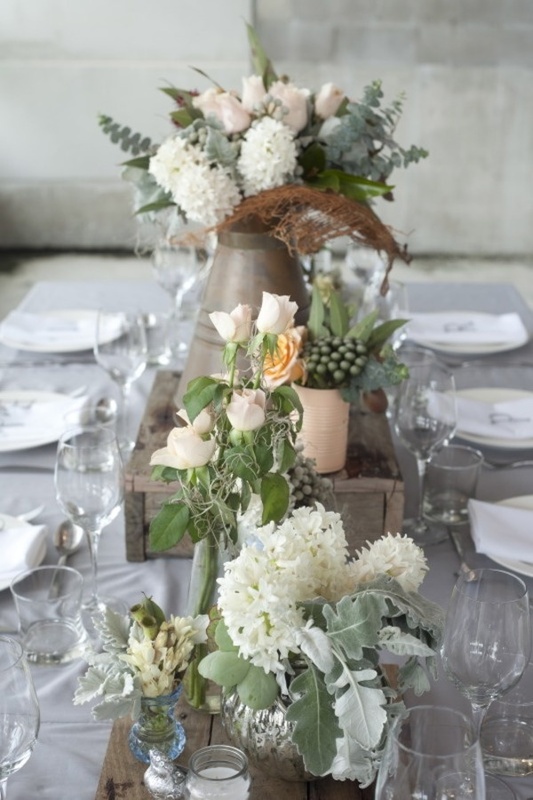 Team it with white and/cream garden flowers and you have a winning combination. Metallics in general continue to be very popular this year, either individually or mixed. Rose gold and copper are the metallics of choice, however. It’s easy to feature it in your flower containers or set off your blooms with a sequin tablecloth/runner. Many of my clients are indulging in the continued trend for DIY by spray painting jars and bottles for me to arrange their flowers in. 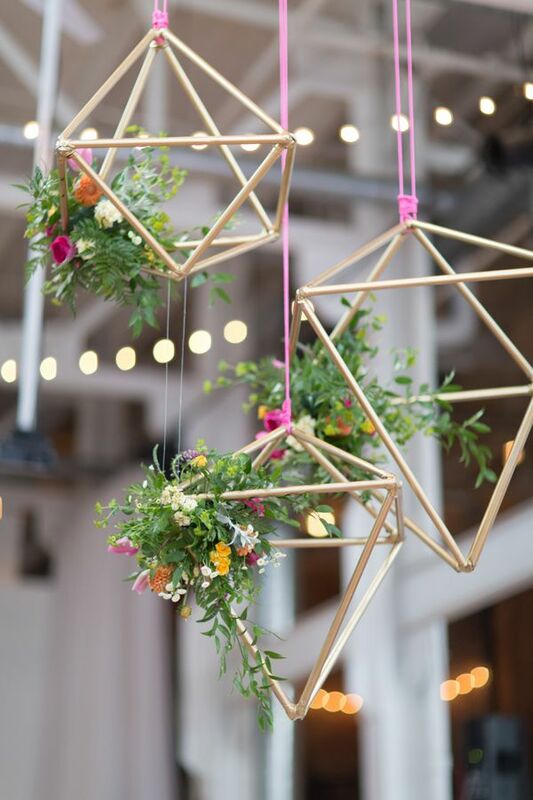 You could even include elements of it in amongst your flowers with gilded foliage! My research suggests that there are two predicted trends that I haven’t as yet seen translating into my real life weddings. 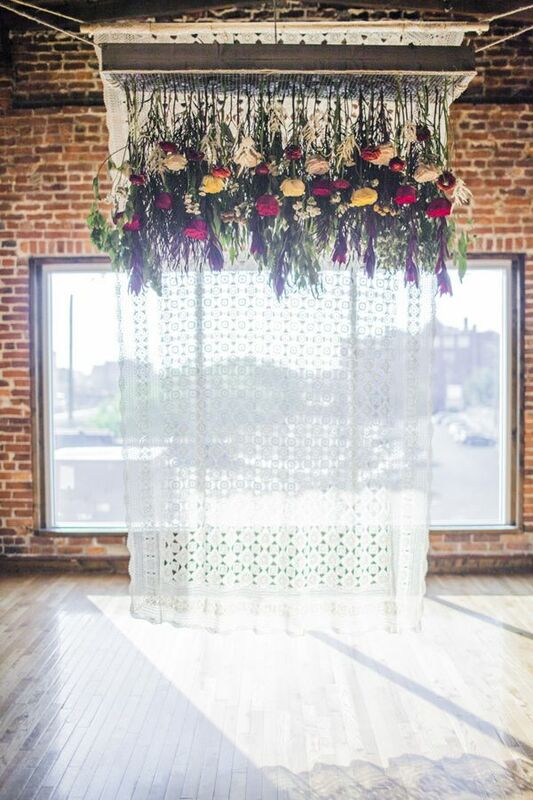 The first is for silk or fresh flower walls as ceremony backdrops – fine for the likes of Dior or Kim & Kanye, who have money to burn, but the reality is that they are budget-busters for the average couple. 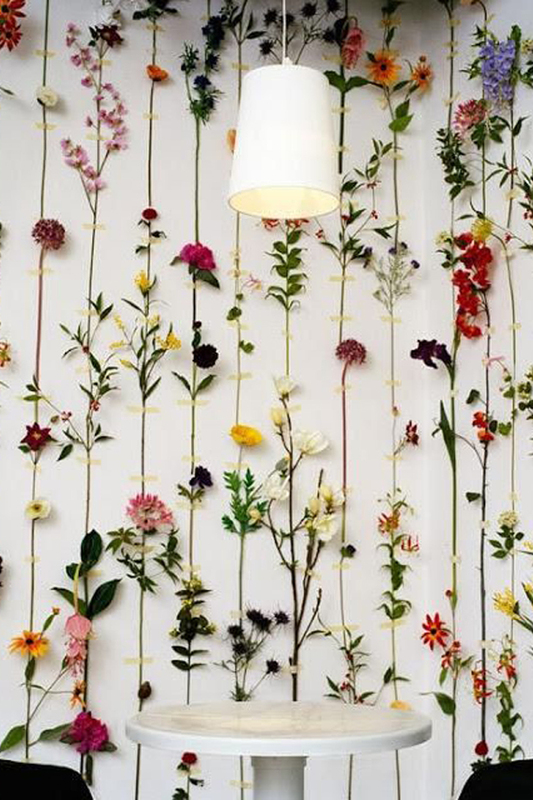 Pared-down interpretations of them that I’ve been drawn to are blooms washy-taped to the wall (not that many venues would be keen on this, I suspect!) 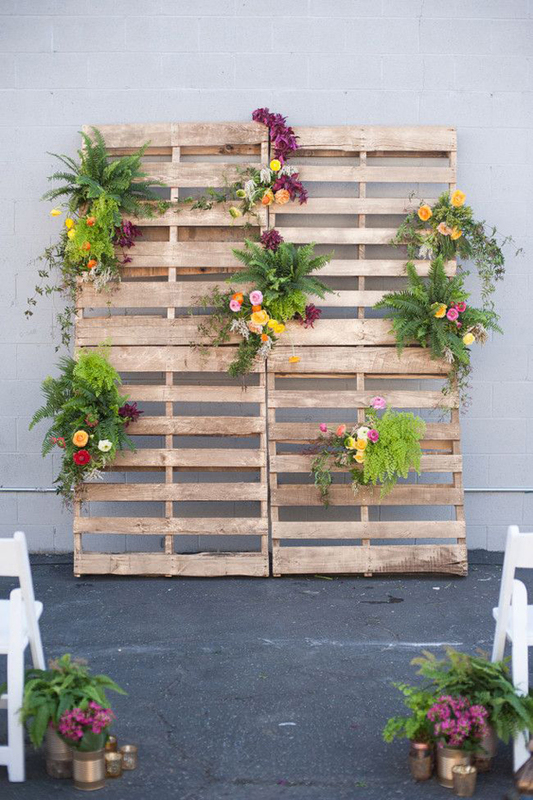 or clusters of blooms and foliage on stacked wooden pallets (which will tie in nicely with the two prevailing themes I will come to shortly). Secondly, there’s hanging flowers. Although I love the concept, construction time, venue logistics and budget are the three main reasons why this trend isn’t making an appearance everywhere. In order to apply this to your day, in an ideal world you’d be looking at utilising existing venue features, such as beams or chandeliers. The way I assess what’s trending with my couples is by seeing what’s most followed amongst my Pinterest boards. I’m a self-confessed Pinaholic and I have boards for pretty much every wedding theme you could imagine (and probably a few that you couldn’t!) – but without a doubt, my most popular boards are Rustic/Organic and Bohemian. 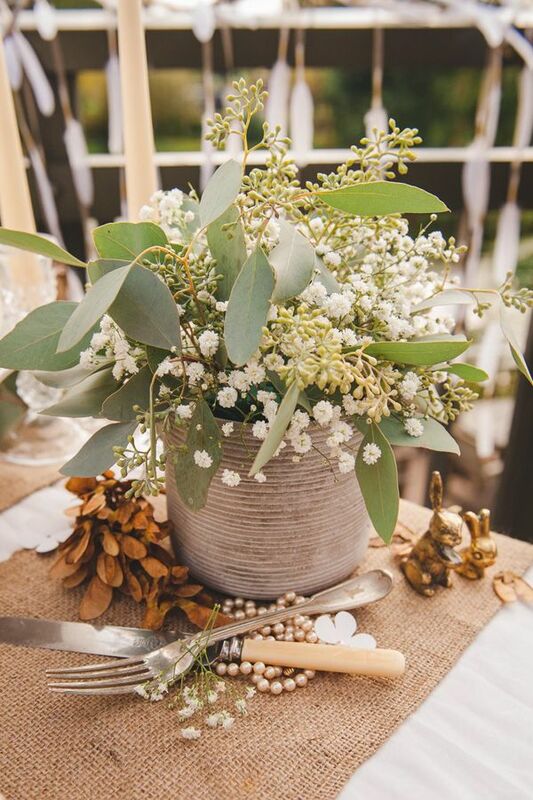 Rustic weddings may start to see a shift away from burlap and lace, towards combinations of floral-patterned fabrics, not just for bridesmaids dresses, but for tablecloths and napkins, too. 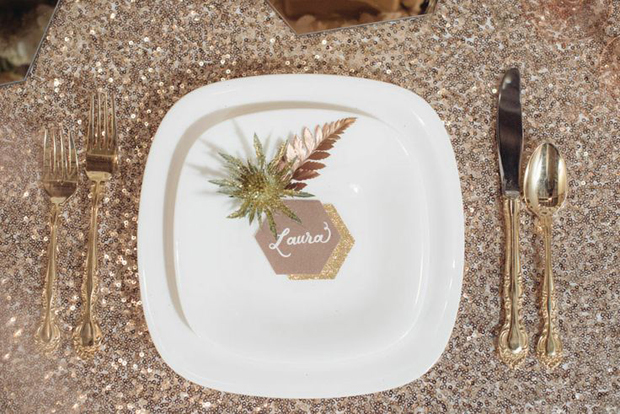 From industrial venues to tipis and yurts, boho themes may drift towards a more chic interpretation, with more emphasis on metallics, glitter, sequins, texture and colour. Overall, the tendency towards eclecticism and personalisation continues – whatever style or colour you choose, have fun and make your day, yours! 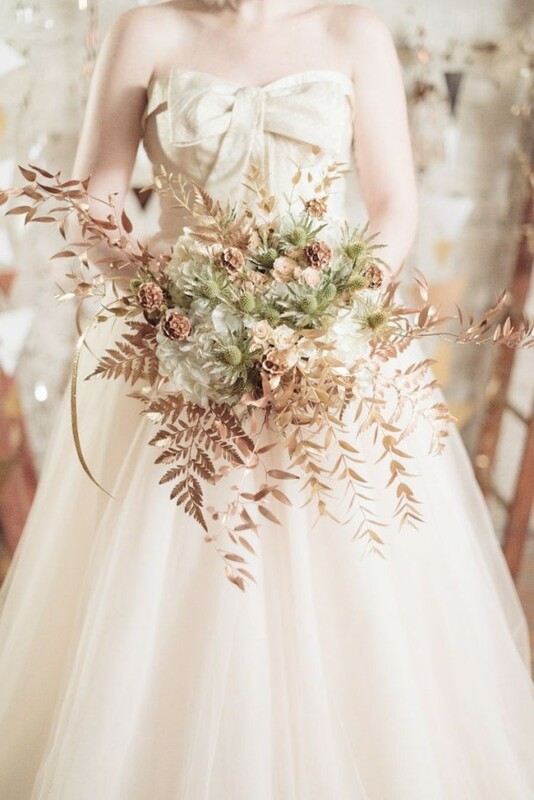 Thanks so much Gwenda [Vintage Floral Design Co.] for a fabulous post on floral wedding trends for 2015. 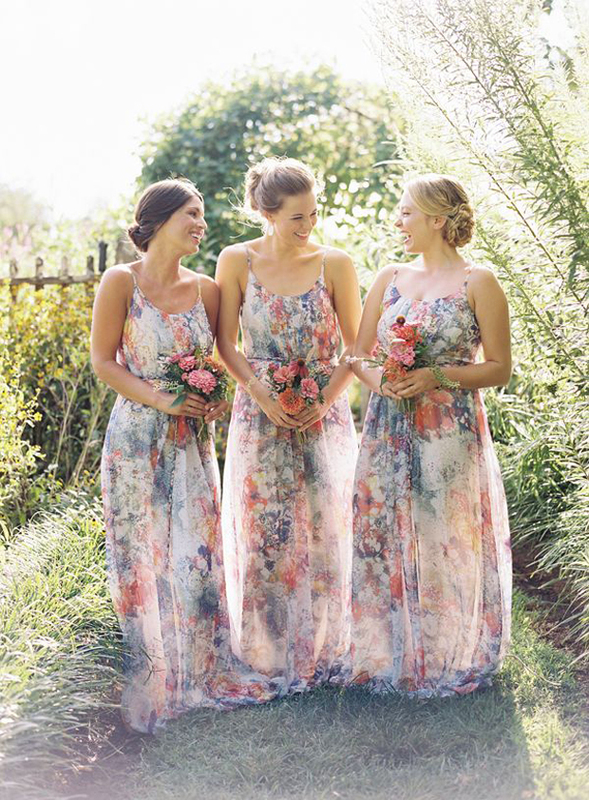 Loving all the floral patterns and pasteltones, fab! 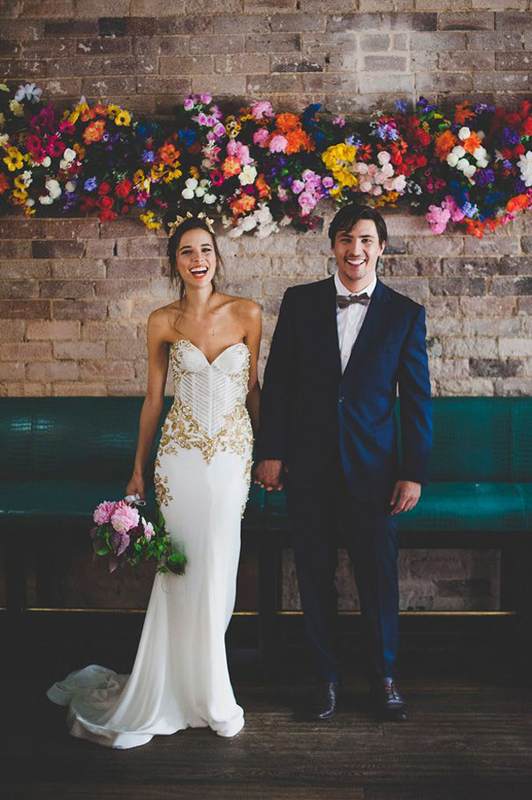 Wow, amazing photos and equally amazing trends… love, love, love! Thank you for sharing! 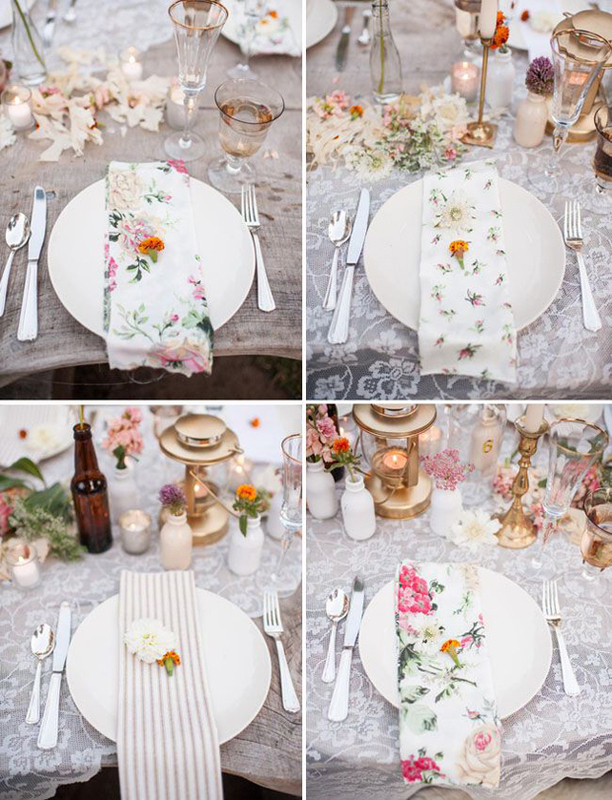 Loving the floral napkins at the place settings!